A Star is Born is absolutely fantastic. One of the best movies this year. Who thought such a remake, yet again, would work to the level it does. Be assured, this one will be around come award time and yet again Lady Gaga shows us she is the real deal and a far cry from her grabbing attention by walking on red carpets in a steak outfit. Starring Bradley Cooper and Lady Gaga, this is Coopers directorial debut and what a debut it is. This version is the best of the four “A Star is Born" movies. The 1937 non-musical version was first. In 1954, Judy Garland and James Mason starred in the second and in 1976 Barbra Streisand and Kris Kristofferson had a massive hit. The acting in this one is supurb, as you see the highest level of respect Cooper and Lady Gaga had for one another during the process. Coopers direction is outstanding as he is able to move you so you feel the story within. You can't but not, even the crustiest. 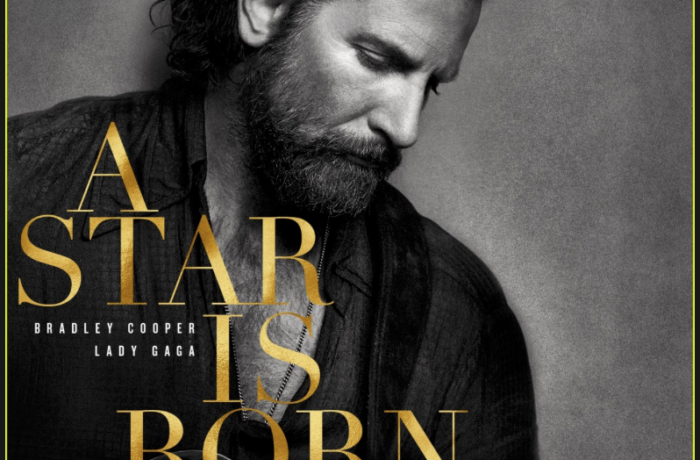 This is a new spin on the old tragic love story where Cooper plays world-famous country-rock musician Jackson Maine who discovers stuggling unknown artist Ally, played by Lady Gaga (who by the way prefers to be called Lady rather than Gaga.) One night he walks into a random bar, sees Ally give an amazing performance of “La Vie En Rose.” He is mesmerized. They begin a romance but his substance abuse spirals downward and when her career takes off - their relationshp suffers as Jackson, who is his own worst enemy, fights his inner demons. Cooper as director, is a director now. He is a co-writer, and we knew he was an actor. He created a strong story that balances what could be a corny script with deep heartfelt emotion and subtle intamacy that we all relate to. Who knew Bradley Cooper could direct like this, act like this, and sing like this. This takes him to a new playing field. Cooper and Lady Gaga performed their numbers live at real places as the cameras cautured all for real. Not staged. A Star is born as a magical feel to it and the music adds another dimension. When they sing together - well, it is sheer mastery. A Star is Born is what enjoyable movie-going is made of.